A heritage listed house in inner Orange and opposite the beautiful Cook Park. 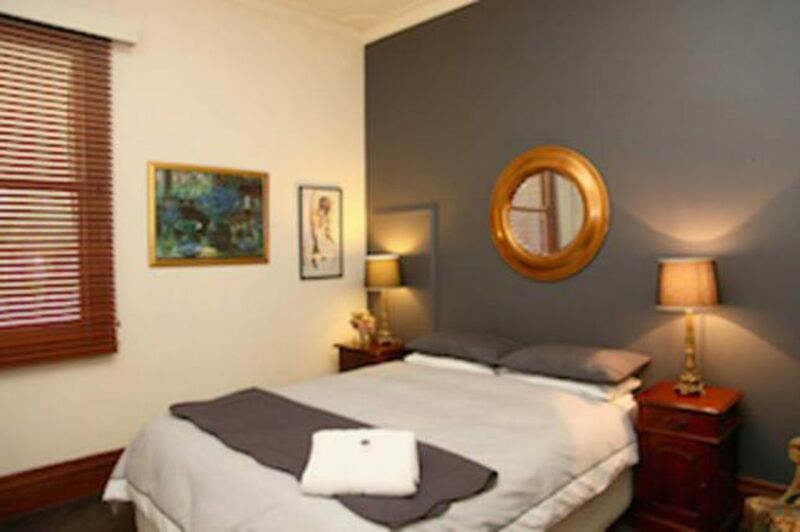 It is a 5 minute walk through the park to popular coffee cafes and 10 minute walk to the CBD. Similarly, Duntryleague Golf Club and the indoor swimming pool are minutes by foot. The house sleeps 7 in 3 bedrooms. All have queen beds and one has an additional single bed. One bedroom has a new ensuite. The second bathroom has a shower and separate bath and the toilet is separate again. There is a third outside toilet as well. The dining room and lounge are separate rooms with a wood fire plus electrics available for the Orange winter months. There are two delightful outside garden 'rooms' and they overlook Cook Park. The duck pond at Cook Park is a stone's throw away. All linen is supplied and the kitchen has all one needs for cooking. A lovely house for all occasions and one that receives the highest praise from guests. We stayed at Apartments on the park with another two couples - 6 adults in all. The wood burning stove kept the cottage cosy. Kindling and chopped wood were within easy reach outside the kitchen door. We found everything we needed in the kitchen so most of our meals were self-catered. The dishwasher was appreciated. Our beds were comfortable, with doonas which kept us warm throughout the chilly nights. At lunchtime we sat in the sheltered garden, soaking up the sun. The walk to the shops was easy, and very pleasant, especially when we walked through the park. Parking was easy. This home was a delight to stay in, with lots of attention to detail, central to Orange coffee shops, warm with the fire, and a well equipped kitchen.The home is beautifully decorated with a picturesque garden, now a family favourite. A beautiful house in a great location - could t ask for anything more!